The original Nexus 7 tablet released by Google and Asus in mid-2012 was a ground-breaking device at its extremely low $199 starting price, but as time passed it started to show its age. Users complained that it was slowing down, so much that it became a pain to use. After a few months with the device, there were no traces left of the snappy tablet you bought first. The problem - turns out - was not merely a hardware one, but also had to do a lot with support for a feature called TRIM. TRIM was introduced shortly after SSDs (the type of fast internal storage used in mobile devices, as opposed to slower rotary hard disk drives) started becoming popular. It solves one huge problem - garbage collection. With support for TRIM you could easily avoid the slow down in write operations to the storage blocks. The problem with the original Nexus 7 was the lack of it. Luckily, Android 4.3 introduces support for fstrim and as soon as you update your old Nexus 7 to the new Android version the problem should be gone. TRIM support had allegedly been a part of Android 4.2 all the way, but it had to be enabled and that has happened in 4.3. Basically, this means that devices that slow down with age, will have their problems fixed as soon as they get Android 4.3. Once again we are seeing Google do a lot of work under the hood, and that type of improvements have been a huge part of the Android 4.3 new features. 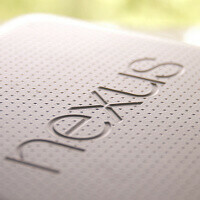 The first Nexus 7 featured relatively cheap nand chips with a controller which was bugged. You can't expect decent performance from cheap flash storage. Is the lag issue on oldgen nexus 7 resolved for anyone? I still see no happy oldgen owner after this update? bloody about time!! cheap parts!! I guess people are blaming samsung's NAND for this, but at least two things do not make sense. First, samsung provides NAND to many devices and companies, but N7 is the only one that seem to have this problem. Second, before the software update, N7 ran fine. But after the update, N7 started having problems. I don't know whose fault it is, but these two things make me wonder whether it was the samsung's fault but rather a bug in android for N7. Yup they had an app for that. Cool, they are so fast. still no update for either nexus 4 & nexus 7 in Lebanon. is there any schedule for when the update should reach this region? still nothing... i wonder why?! I manually pushed the update to my N7 four days ago. 4.3 is a lot snappier than 4.2. Is the lag issue on oldgen nexus 7 resolved for anyone? I still see no confirmation from any oldgen owner after this update? There's no stutter or lag on the 4.3 update in the N7. I can confirm this. The only bug I have is I can't download or update any apps through Google Play. UPDATE: Some N7 users have had trouble with the Google Play store. Remove the Google account and add it again and everything should work. Hoped this helped anyone who was experiencing the same problem. As LeBron James said when he won his first NBA Title "Its about damn time" lol Ive had problems with my Nexus7 recently and cant wait to update my tablet to android 4.3 to resolve this issue. Google has 2 tablets that can beat the competition when it comes to price, hardware, and reliability.